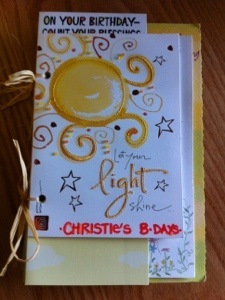 I love this idea I saw on pinterest because I keep every card I’ve ever been given. 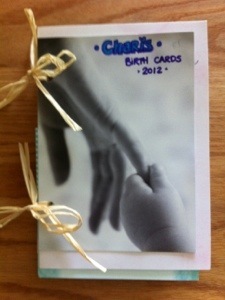 (Ask my husband…I have tubs filled with cards haha!) This is a fun way to keep them organized and it’s really quick and easy. Just hole punch your cards and tie them together. Voila!